Mairin Jameson graduated in May 2014 with a degree in psychology. In an interview, Jameson shared her experience with Career Services and the success she found with the management development program at E. & J. Gallo Winery. 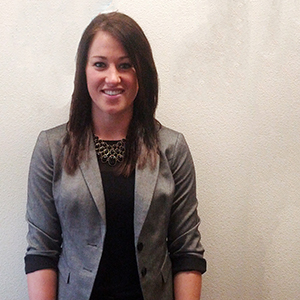 “Career Services has really helped me. I had a couple meetings with a career advisor to prepare for interviews, and since I am gone a lot for diving meets, the advisor made himself available through email as well. It was so nice knowing that I could email him a question and get a response that same day. Not many people have that resource. One time I asked if someone could talk to athletes about Career Services, so a career advisor came to give a presentation and helped me develop my resume. I attended Career Services' fall 2013 career fair, which is where I had my first interview with E. & J. Gallo Winery, and met representatives from Target. After the interview processes, I received two job offers. It was really helpful to be able to sit down with a career advisor and go over things I didn’t completely understand about the offers. My advisor was able to explain to me in detail what each part meant, and recommend things for me to look into more. I was able to bounce ideas off of him for the actual negotiating, and he helped me brainstorm options, so I felt completely prepared and knew when the moment was right to let each of them know I had another offer on the table. The biggest thing for me was just having someone in my corner to go to with any questions I had about the interviews I was having. Having people that really know what they’re doing in a situation that you’ve never been in before is very helpful. I would definitely recommend students and alumni use Career Services and its online resources. Career Services can help students get connected and find job opportunities, and it’s so nice to have someone through every step of the process that is there 100 percent for you. I'm so thankful to Career Services, and I hope my story will get other students to utilize its resources."